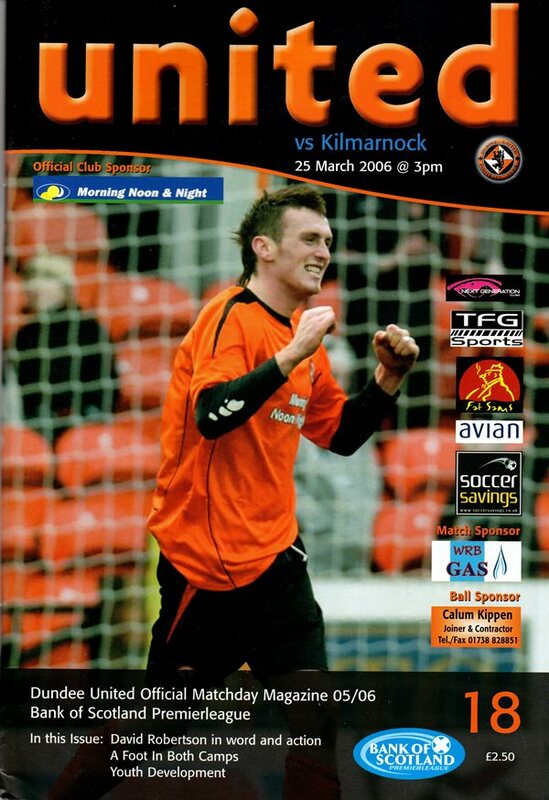 United started brightly with Lee Miller in particular causing the Kilmarnock defence problems. The first clear chance fell to young David Robertson on five minutes, when Alan Combe spilled a cross under pressure from Miller, but the former United keeper recovered to block. Yet two goals in four minutes were to knock United right out of their stride. On thirteen minutes Steven Naismith – probably the shortest player on the park – headed home unchallenged from an in-swinging Alan Johnson corner. Johnson himself came close with a fine effort from distance a minute later, and the lead was doubled on seventeen minutes – again from a corner. This time Johnson’s set-piece was met by the unchallenged Gary Wales – perhaps the second smallest player on the park – who headed into the path of Naismith. His high looping volley was probably not what he intended, but it somehow sneaked into the far corner of the net past Stillie. Nish went close with another header before United managed to steady the ship and looked to get back into the game. Fernandez shot wide on 25 minutes when a square ball to Robson looked the better option, but Combe was really only tested for the first time as the half hour mark approached as a fine 30-yard free-kick from Mulgrew was superbly tipped round the post by the Kilmarnock keeper. The visitors looked happy simply to hold onto their two-goal lead and while United battled away, the final fifteen minutes of the first half produced little more in the way of chances. Fears that the game was over as a competition proved unfounded, as United got back to level terms within six minutes of the restart. First a McInnes cross allowed McCracken to bullet home a header from ten yards on forty-eight minutes, then United’s captain got on the score sheet himself in highly controversial circumstances. Latching onto a poor clearance, his low scuffed shot found Fernandez looking clearly offside at the edge of Combe’s six-yard box. The Spaniard stepped over the ball allowing McInnes’s shot to carry on into the back of the net. Kilmarnock players and staff were infuriated that the goal stood, but TV evidence later confirmed that a Killie defender had played Fernandez onside. The game opened up and switched from end to end. A Wales header flew inches wide for Kilmarnock, and for United a fine run and shot from Samuel deflected narrowly past. A last ditch Fowler tackle denied Fernandez after good hold-up play by Miller, and Kenneth got within inches of converting a Robson corner. There was further controversy on 75 minutes – this time the decision going Kilmarnock’s way. Nish did well to head a Robson free-kick behind, but when Robson returned the ball into the box from the corner Nish cleared again – this time clearly using a hand. But no penalty was forthcoming. Both sides pushed for victory. 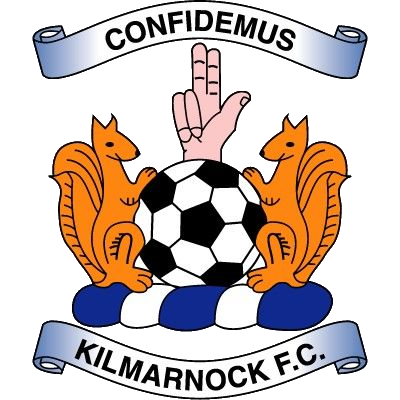 A winner almost went Kilmarnock’s way when a Nish shot deflected off Kenneth and looked net-bound all the way until Stillie somehow managed to get back up off the ground to claw the ball behind for a corner.